Millennium Seoul Hilton offers multicourse specials at its Chinese and Japanese restaurants, Taipan and Genji, only on the weekends. Taipan, the hotel’s Chinese restaurant, offers a gourmet meal comprising six dishes, at 65,000 won per person. The menu features abalones, crab meat, prawns, beef and pine mushrooms as its main ingredients. 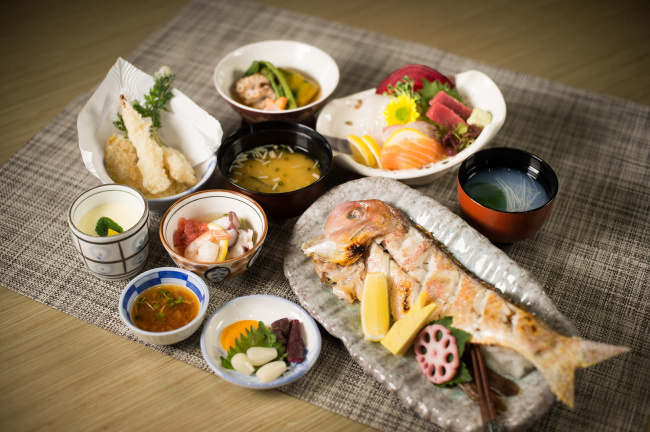 Genji, the hotel’s Japanese restaurant, also offers a weekend special at 86,000 won. The weekend special set-course menu comprises 10 dishes, including sushi, sashimi and soba. For reservations or inquiries, call Taipan at (02) 317-3237 or Genji at (02) 317-3240. 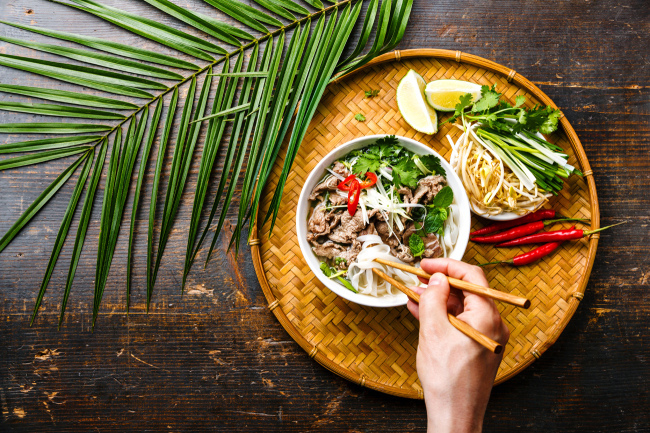 Sheraton Seoul D Cube City Hotel is hosting the “Vietnam @Feast” promotion from April 6 to 26, offering diners a chance to experience Vietnamese delicacies. The promotion, held by the hotel’s buffet restaurant Feast, is to showcase a variety of authentic Vietnam cuisine, prepared by visiting chefs from Sheraton Saigon Hotel & Towers. More than 10 Vietnamese dishes will be prepared along with a selection of mouth-watering buffet items at 66,000 won per person. All diners at the Feast are eligible to participate in a lottery with the prize of a two-night stay in Sheraton Saigon Hotel & Towers. For more information or reservations, call Feast at (02) 2211-1710. As the weather warms up, fine dust is covering the city of Seoul. For people who suffer from sore throats due to the bad air, Grand Hyatt Seoul has prepared medicinal teas. The hotel’s lobby cafe Gallery offers 10 types of traditional tea, including ginseng, ginger, citron and pomegranate tea. Visitors can enjoy a scenic view of the city while enjoying a cup of tea at the cafe. Prices of the teas range between 16,000 to 22,000 won. Call (02) 799-8165 for more information. Seoul Shilla Hotel’s outdoor pool Urban Island is to open on March 31. While enjoying a peaceful nighttime swim, guests can enjoy a scenic view of Namsan’s cherry blossoms. Responding to concerns that the weather might not be warm enough, all the sunbeds have been equipped with warmers, along with additional heaters placed at the poolside. The pool is maintained at a temperature of between 32 degrees Celsius and 34 C. A separate kids’ pool and a Jacuzzi are available for guests. The hotel is offering the “Urban Island” package, which includes one night in a deluxe room, two tickets for the pool and a breakfast for two, until the end of April. The package costs 310,000 won. 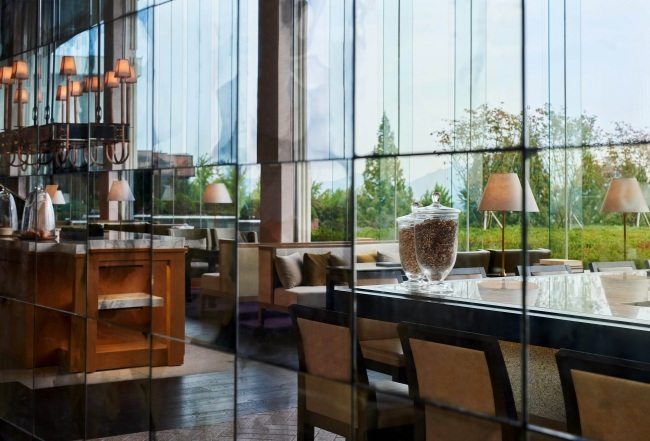 For those looking for a relaxing urban escape, Park Hyatt Seoul has prepared the “Spring at the Park” package. After a relaxing night enjoying the city’s night scape, guests can enjoy Korean or western-style breakfast in their rooms. 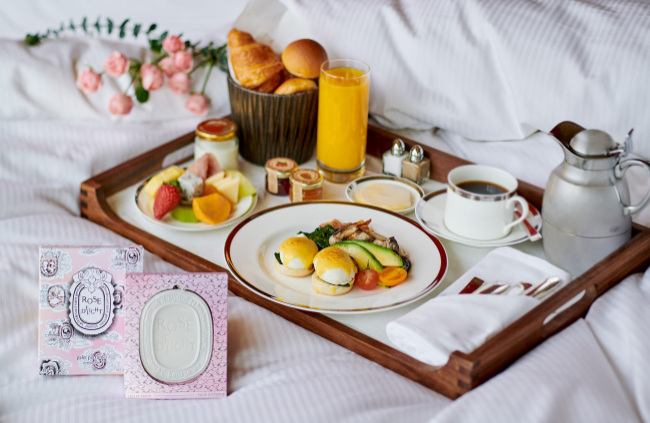 A rose-scented air freshener from premium perfume brand Diptyque will fill the rooms with the fragrance of the flower. For those staying in suite rooms, a bottle of red wine will be provided as well. The package will be available until the end of May. Prices start from 360,000 won for regular rooms and 510,000 won for suite rooms. Call (02) 2016-1100 for more information or reservations.